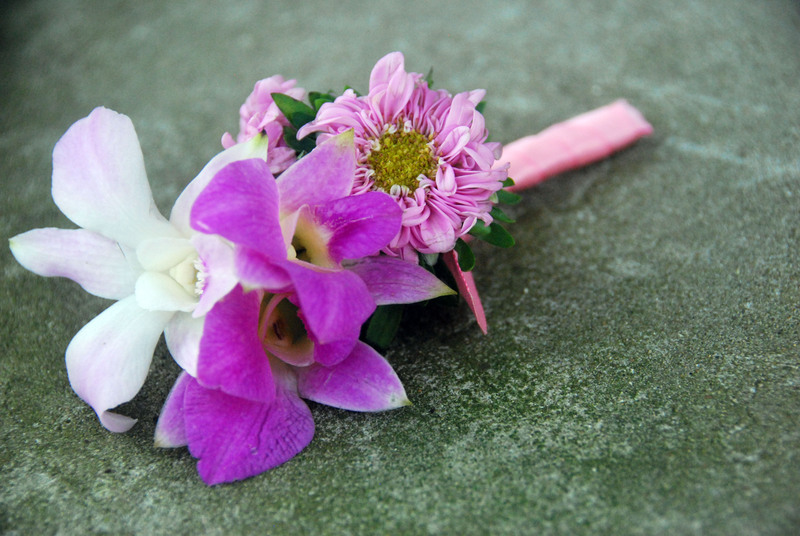 Last weekend we had the pleasure of being a part of Mike and Sarah's wedding. 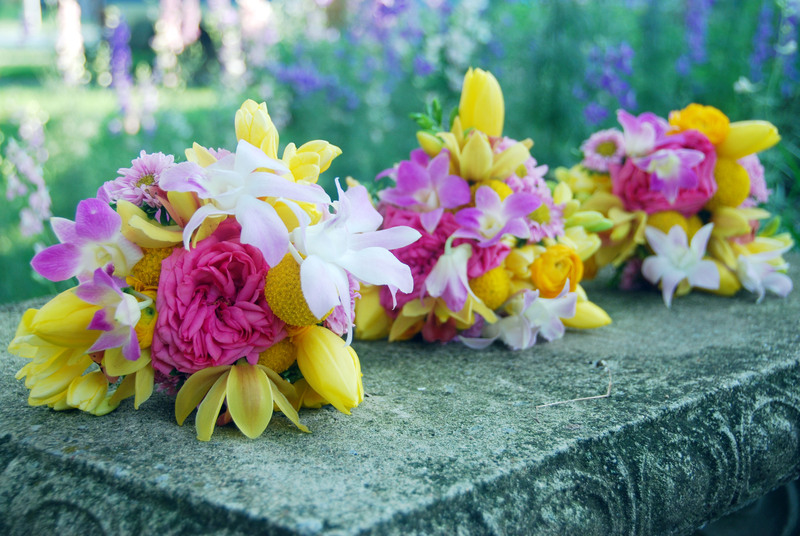 Sarah choose vibrant yellow and pink hues for her big day and wanted both shades incorporated into her flowers. 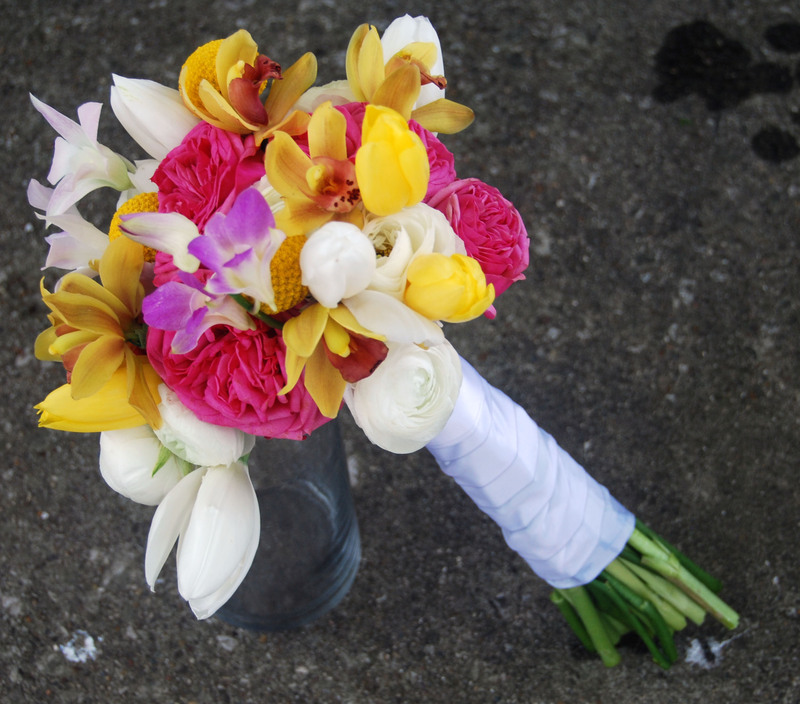 Her bouquet, white and yellow with pops of pink, consisted of tulips, orchids, ranunculus, and garden roses. 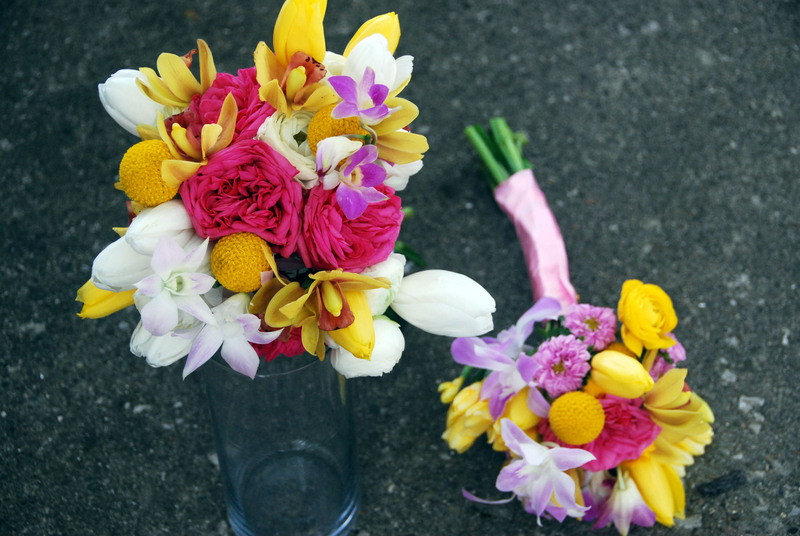 The girls' bouquets, yellow and pink, consisted of garden roses, orchids, tulips, billy balls, freesias and matsumoto asters. 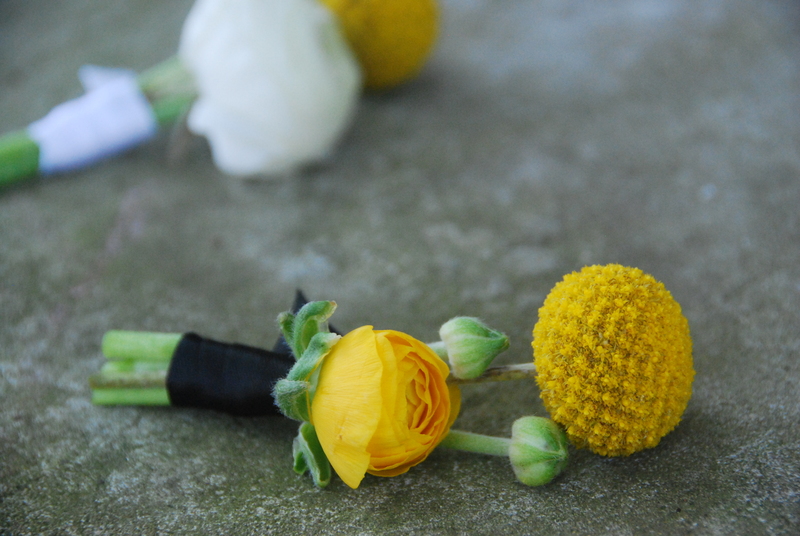 I loved the Groomsmen boutonnieres: simple, vibrant and bold against the suits. Congrats Mike and Sarah. 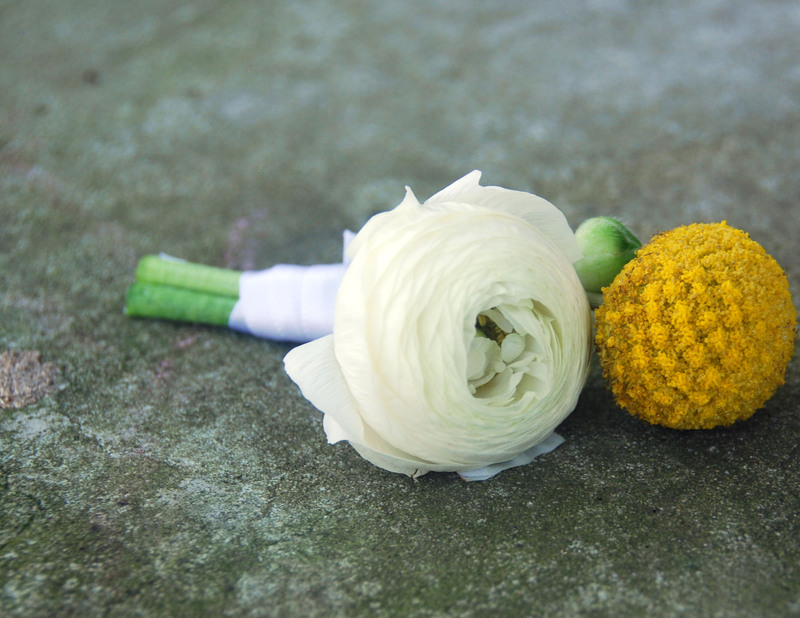 Wishing you both many wonderful years to come.